During its long history, Jerusalem has been attacked 52 times, captured and recaptured 44 times, besieged 23 times, and destroyed twice. However there is a future invasion to come which will see predominantly Islamic armies surrounding Jerusalem once again and after three and a half years the demise of those armies on the mountains of Israel and the establishment of the Millennial Messianic Kingdom of God on earth. On that day the power of Islam will be shattered forever. Ezekiel the prophet saw this last great end-time battle in the vision he received from the LORD. This vision concerned the time of the end. The nations mentioned in this end-time army are all Islamic today. Today in our world the nations of Islam are Israel’s greatest threat. Israel is surrounded on all sides by fundamental Islamic countries that in reality are hell-bent of Israel’s destruction and demise as a nation. These nations are named. The regions described in these verses can be identified today. Gog is the Antichrist himself and Magog the land from which he comes and Gog himself is the prince of Rosh, Meshech and Tubal. Biblically the land of Magog was located in the central Anatolia region geographical region which today would be Turkey making the leader of Turkey the head of the invasion force that attacks Jerusalem. Historically Rosh was a well-known land on the banks of the Tigris River, bordering on Elam (Iran) and Ellipi (those related to the Elamites or Persians or Iran) today this ancient geographical area is Islamic. ‘Rosh’ is not Russia. Likewise ‘Meshech’ and ‘Tubal’ are not located in Russia either. Geographically these nations were located in modern day Turkey. ‘Persia’ today would be Iran, ‘Ethiopia’ also translated as ‘Cush’ geographically today would be located in the Sudan. ‘Libya’ is the same as today. ‘Gomer’ some say is located in Germany but historically Gomer was a tribal group of people who were located in the central part of what we know today as the nation of Turkey. Likewise ‘Togarmah’ or ‘Beth-togarmah’ is located in the eastern part of what we know today as the nation of Turkey. The prophet Joel describes this army like ‘locusts’ that cover the land of Israel. The Babylonian invasion of Israel was the context of Joe’s prophecy but prophetically it also describes this end-time invasion by the Islamic Antichrist and his armies. After having devised an evil plan these wicked Islamic nations form a confederacy against Israel. Jealousy and greed will be the satanic spirit that drives them to attack Israel that will be a land of unwalled villages, a peaceful people dwelling in safety and dwelling in the land without walls and having neither gates or bars to keep pout their enemies. Israel’s security will not be in the LORD but in their own prowess in battle and in their economic prosperity and wealth which they will have gained by their own will and effort and that without looking to the LORD. Jealousy at Israel’s prosperity and centuries of Islamic hostility will have come to its fruition and will see 200 million Muslims in this vast army of the Antichrist. (Revelation 9:16) Possibly the oil reserves in Israel yet to be discovered and developed will be the catalyst that will cause this end-time invasion. Other jealous non-Islamic nations will also join the Islamic confederation. Sheba, Dedan and the merchants of Tarshish are those who look on at what is happening with interest as they accompany the invasion force and see what profit from the plunder of Jerusalem can be made in siding with the Islamic invasion force. Sheba and Dedan are located in Saudi Arabia, and Tarshish is probably the Tartessus (possibly present day Seville in Spain). There will be a European contingent whose nations have already been conquered by Islam that will see a profit in the plunder of Israel. Undoubtedly other nations also will be looking on as they see the invasion of Israel taking place. This attack by the Turkish Antichrist leading the Islamic confederacy will have planned the invasion secretly and Israel in their self-confidence and false security will be unaware of it happening. (vs.11) ‘The far North’ is not mainland Russia, but Turkey and the Turkic speaking southern states of Russia being Kazakhstan Uzbekistan, Turkmenistan, Kyrgyzstan, Georgia and Azerbaijan, all Islamic provinces today. When you consider the Islamic population of these provinces and those of Pakistan, Afghanistan, Iran, Iraq, Syria and Turkey combined they could easily field a 200 million strong Islamic army. This would be the ‘Kings of the east’ also known as the armies of the King of the North that will fight with the King of the South. This confederation of the armies of the King of the South will be western nations that have resisted Islam, possibly America, Great Britain and Russia. Historically America, Great Britain and Russia have their spiritual roots in Christianity and not in Islam and will be part of the confederation of the King of the South. Also there will be European countries that have resisted Islam and will be part of the army formed under the King of the south. Also from the East Red China will advance towards Israel. This ultimate battle between the King of the North with the King of the South will for the most part be a battle between Christendom and Islam. (Daniel 11:40) God will use these nations to frustrate the plans of the Antichrist. The ultimate victory will go to the Rider on the White Horse accompanied by the armies of heaven. Islam will be destroyed forever! (Isaiah 63:1-7) (Revelation 19:11-21) Notice God says concerning Israel that it is “My people Israel” and “My land.” God most certainly has not finished with Israel! At the end of this age just before the Lord Jesus comes back God will display His righteous anger against those who have hated and attacked Israel. There will be a great earthquake in Israel. Everything that God has not established will be shaken in that day. This earthquake will see the return of the Lord Jesus in great power and splendour to judge the nations and save Israel. 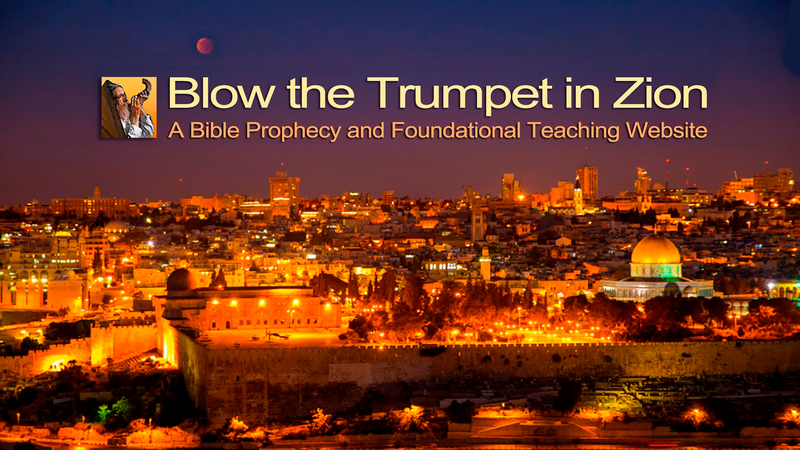 This will be a global shaking of the nations that have survived the Great Tribulation. Every institution and empire of man that God has not established will be thrown down. (Daniel 2:32-35; 44-45) Isaiah the prophet spoke about this time when even skyscrapers will collapse. He writes; “On every lofty mountain and on every high hill there will be streams running with water on the day of the great slaughter, when the towers fall.” (Isaiah 30:25) Can you imagine great skyscrapers all around the world collapsing? During the reign of King Hezekiah in Judah when the Assyrians had besieged Jerusalem and were at the very gates at the city King Hezekiah, Isaiah and the people came before the LORD to seek His protection and deliverance. God had brought the Assyrians into Judah because of Israel’s rebellious past. King Hezekiah was a Godly king and when he and Isaiah and the people cried out to the LORD and humbled themselves before Him he heard their plea and saved them from the Assyrians. God sent confusion into the Assyrian camp and they started to fight each other. After that the Assyrians left Israel the King of Assyria was assassinated when worshipping his god in the pagan temple in Assyria. When the LORD shakes the heavens and the earth people will know who God is and tremble in fear. What happened to Sodom and Gomorrah is the foreshadowing of how God will judge this wicked and rebellious world at the end of this age. God will bring upon the Antichrist and his forces pestilence, bloodshed and send down flooding rain, great hailstones and fire and brimstone. The prophet Zechariah describes this scene; “And this shall be the plague with which the Lord will strike all the people who fought against Jerusalem: Their flesh shall dissolve while they stand on their feet, Their eyes shall dissolve in their sockets, And their tongues shall dissolve in their mouths.” (Zechariah 14:12-13) They say that when the nuclear bombs were dropped on Hiroshima and Nagasaki in 1945 that people’s eyes literally melted in their sockets. God’s fire and brimstone will be something akin to a nuclear detonation. The Apostle Peter also spoke about this when he wrote; “But the day of the Lord will come as a thief in the night, in which the heavens will pass away with a great noise, and the elements will melt with fervent heat; both the earth and the works that are in it will be burned up (laid bare). (2 Peter 3:10) The phrase Peter uses for “the elements melting with fervent heat” in the Greek text of the New Testament actually describes the splitting of the atom. How could a first century man know about nuclear power? He couldn’t have known about it but the Holy Spirit most certainly did and revealed what He knew to Peter. When this shaking comes only those who have built their lives upon the solid foundation and rock of the Word of God will remain unshaken and still standing when the dust clears. Every other foundation not established by God will be gone. There is only one future hope for the world and that will be the Second Coming of the Lord Jesus the Messiah to save the world from annihilating itself. Are you ready to meet Him at His coming again? Do you have the garments of salvation on? Have you repented and believe on Him who has shed His blood to atone for your sin and rebellion against God and His laws and commandments? Is He your personal Lord and Saviour? Are all of your sins forgiven and cleansed? Are you sheltering by faith under the blood of Jesus to save you from the coming wrath? Are you a part of that unshakable Kingdom or a part of the Kingdom that will be shaken and dismembered by God? If this is not your case then it is time to turn to the LORD for mercy and pardon. The LORD has spoken through the prophet Isaiah; “Seek the LORD while He may be found; Call upon Him while He is near. Let the wicked forsake his way And the unrighteous man his thoughts; And let him return to the LORD, And He will have compassion on him, And to our God, For He will abundantly pardon.” (Isaiah 55:11). Will you come?